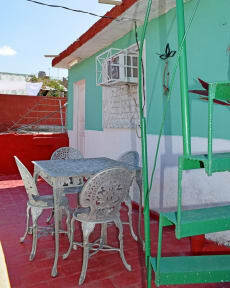 Hostal Shalom offers a colonial house located right at the center of the city. It has two independent and comfortable rooms on the second level and beautiful terrace where you can enjoy a nice atmosphere. Hostal Shalom is located in an ancient village is a world Heritage Site together with the Sugar Mills Valley since 1988 for all its patrimonial, natural and historical values. 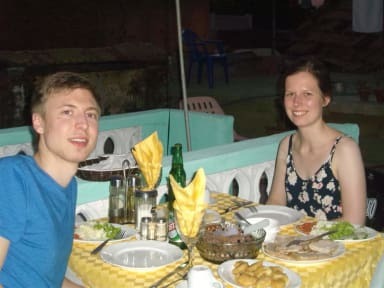 We offer both rooms with air conditioners, electric fans, a big bed and a small one (single), bathroom with hot and cold water 24 hours a day and one of the two rooms has a balcony with a great view of our mountains (Escambray Mountains Range). Check in from: flexible - we advise guests to contact the property to confirm arrival time.